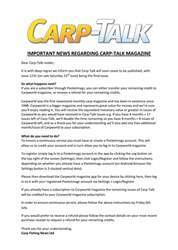 This week’s issue of Carp-Talk (issue 1086) is available to download now. 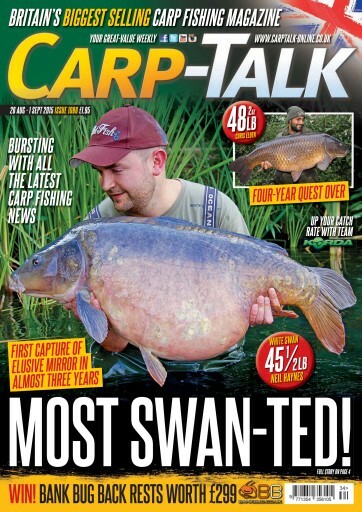 We’ve got the full story of Neil Haynes’ capture of an elusive Dinton Pastures mirror, the 45½lb cracker hasn’t seen the bank at White Swan Lake for almost three years. We’ve also got the Catch 22 biggie, and big fish from all four corners of the UK. John Kneebone explains the benefits of rolling your own pop-ups, Jamie Londors advocates the use of the go-anywhere PVA bag rig, and Adam Clewer reflects on a successful overnight session. 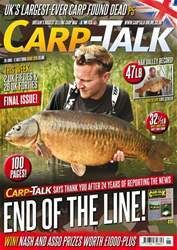 Ben Wales reports on the Cambridgeshire super water set to change the face of UK carp fishing, Mat Woods has been enjoying a great run of success on Baden Hall in Staffordshire, and Jimmy Hibbard can’t put a foot wrong with his fishing of late. 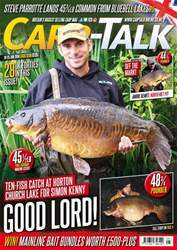 Plus we look at new gear from Phat Fish, Carp Couture, Fox, Korda, Nash, Sticky, Gardner and Avid Carp. Plus there are fantastic prizes up for grabs from Mainline, Wychwood and Bank BUG.